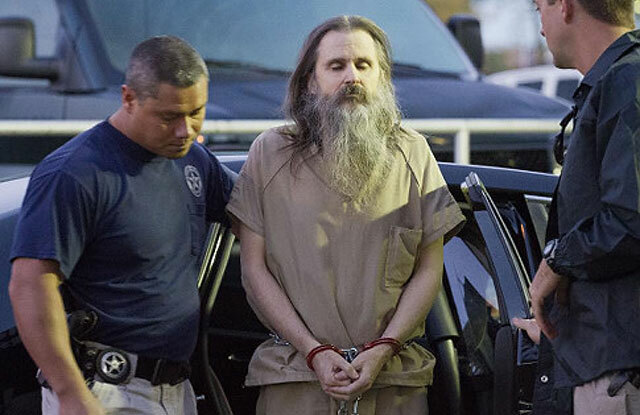 Brian David Mitchell, age 57, was recently sentenced to life in prison for charges related to the widely publicized 2002 kidnapping of Elizabeth Smart in Salt Lake City, Utah. Elizabeth Smart was 14 years old when Mitchell abducted her from her home in June 2002. She was found in March 2003, and Mitchell had been in a psychiatric prison hospital ever since. Raised in a family “largely alienated from The Church of Jesus Christ of Latter-day Saints (LDS Church) but with deep roots in Mormon traditions,” Mitchell had a long history of claiming idiosyncratic and bizarre ‘revelations’ of God’s will for him, including gaining multiple wives by abducting pre-teen girls. We do know that Mitchell was born on October 18th, 1953, although we don’t have a time. 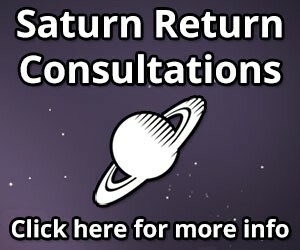 He was first declared mentally incompetent to stand trial on January 1, 2004, while Saturn was in Cancer at the waning square to his natal Saturn, and there had been periodic hearings since then to re-evaluate that status. This is a good example to show the Saturn return starting as soon as transiting Saturn ingresses into the natal Saturn sign. On October 30, 2009 transiting Saturn ingressed into Libra, the sign of Mitchell’s natal Saturn. Just a month later, on December 1, 2009 a psychiatric nurse testified in a mental competency trial that she believed he was faking mental illness, based on her observations. This led to him finally being declared competent to stand trial, and on November 8, 2010 his trial began, with transiting Venus exactly conjunct his natal Saturn. He was convicted on December 10, 2010 of federal kidnapping charges and transportation of a minor across state lines for sexual purposes. He was then sentenced to life in prison on May 25, 2011, as transiting Saturn in Libra squared within a degree where it was in Cancer when he was initially declared unfit for trial. Mitchell has a stellium in Libra – Venus, Sun, Neptune, and Saturn – and so this Saturn transit would be all the more important. 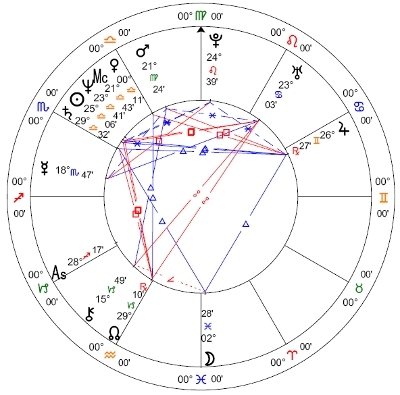 His natal Sun/Neptune conjunction is interesting, given that the main issue the trial boiled down to was not whether he committed the crimes, but whether he was either delusional in his ‘spiritual revelations’ and therefore not accountable, or whether he was deceiving everyone with the illusion of insanity and was merely very manipulative. All of these topics – delusion, deception, and the realm of the immaterial – can be associated with a strong Neptune. Conjunct Mitchell’s Sun, this would make these topics central to his existence, and having these also conjunct his Saturn brings it all to the forefront of his Saturn return. This is an especially interesting example of the Saturn return emphasizing responsibility and accountability, because basically the last seven years of hearings plus the recent trial were all about whether he could be held accountable for his crime. Looking into his earlier years reveals that he had been accused of many similar crimes in the past but largely was not punished for them. It seems he somehow evaded responsibility for years, but finally collided with consensus reality at his second Saturn return. This seems like the main event for Mitchell’s Saturn return, but I’m curious about the rest of this transit through Libra, since his actual exact return hasn’t happened yet. On February 7, 2012 transiting Saturn stations on his natal Saturn, and hits it again on its way out of Libra at the beginning of October 2012.